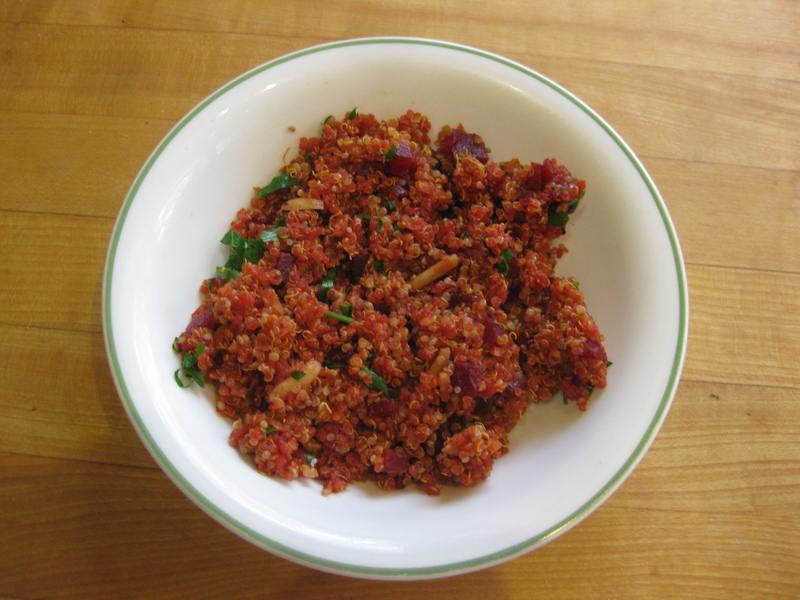 Beet-rich quinoa (vegan) | Yumtritious Eating! Tasty, nutritious side dishes add color and variety to a meal. 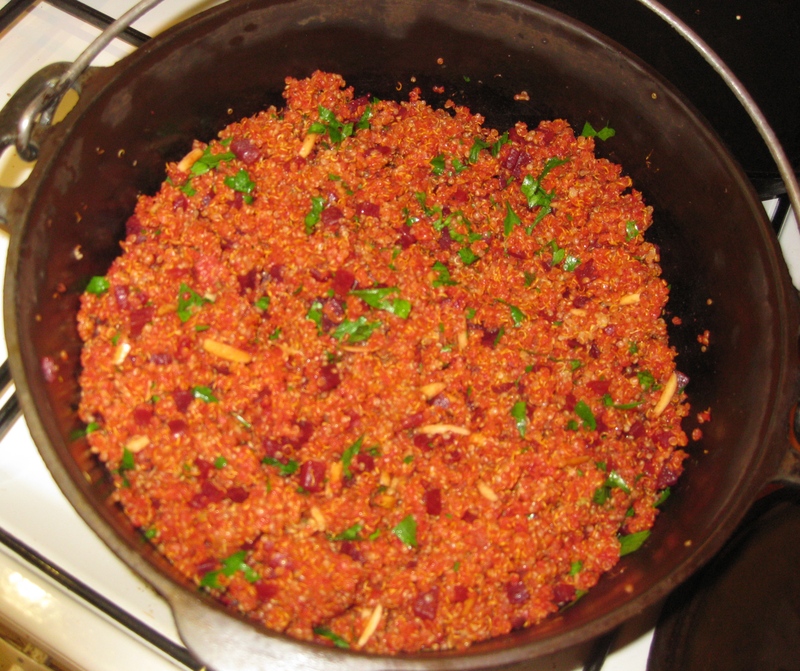 The combination of quinoa and beets in this yumtritious recipe nourishes the body and entertains the senses. In a medium-large pot, heat the oil then add the quinoa and chopped beets. Cook, stirring at regular intervals until the beets are blended in with the quinoa so that the quinoa is a uniform shade of pink (8-10 minutes). Add the oregano and stir for 1 minute. Add the ginger powder and stir for 1 minute. Add the chopped, fresh ginger and stir for 1 minute. Add the water. As soon as the water boils, lower the heat and cover. Cook for 28-30 minutes. The water should be complete absorbed and the quinoa should be somewhat stuck to the bottom of the pot, without burning. Remove the pot from the heat. Stir in the salt and toasted slivered almonds. Wait 5 minutes and then stir in the chopped parsley. When I originally made the recipe, I used 1/3 cup slivered almonds. The addition of the crunch to the dish is nice so I upped the amount to 1/2. If you prefer less almonds, reduce the amount to 1/3. If you like fresh cilantro, use 1/2 cup parsley and 1/2 cup cilantro.